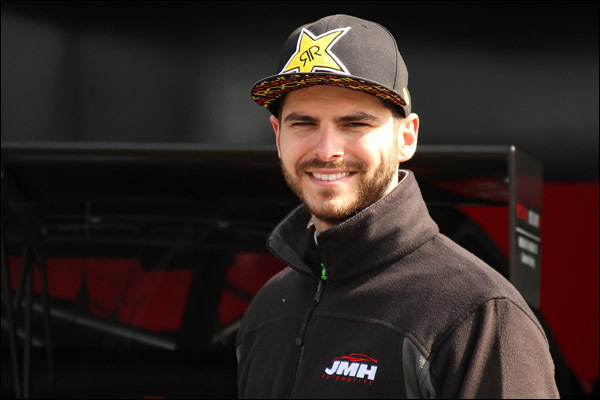 Tom Onslow-Cole and experienced Gentleman driver Paul White will contest the 2014 Avon British GT Championship in a brand new JRM factory-supported Nissan GT-R NISMO GT3 run by JMH Automotive under the Strata21 banner. The programme will form part of the duo’s wider GT racing campaign, which, at present, includes the 24 Hours of Barcelona and 12 Hours of Hungaroring, and plans to take in other high-profile endurances races around the world. 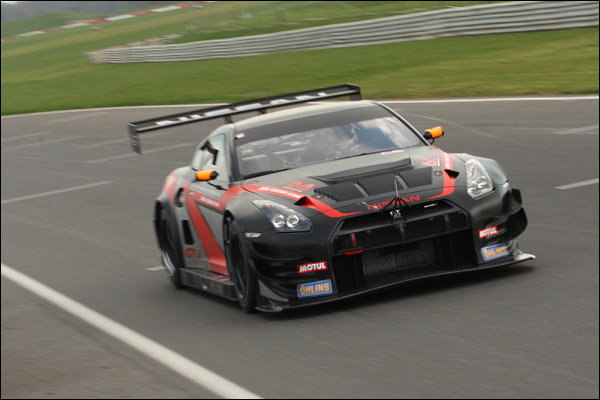 The team came together at a test session at Snetterton yesterday and Onslow-Cole and White drove a 3.8-litre V6 twin-turbo Nissan NISMO GT-R NISMO GT3 for the first time. “The Nissan GT-R is one of the larger cars on the grid but you wouldn’t know it when you’re driving it,” comments Onslow-Cole. “The high-speed aero is incredible and is definitely a strength of the car. After our first test, we’re feeling positive and we’re both looking forward to testing the 2014 car at next week’s media day. In addition to the Nissan GT3 charger they will use for the British GT Championship, the pair plans to make use of Strata21’s Aston Martin V8 Vantage GTE and V12 Vantage GT3 as well as the Milltek/KPM Racing Golf, in which they took podium finishes at Dubai 24 Hours and the 12 Hours of Mugello earlier this year. 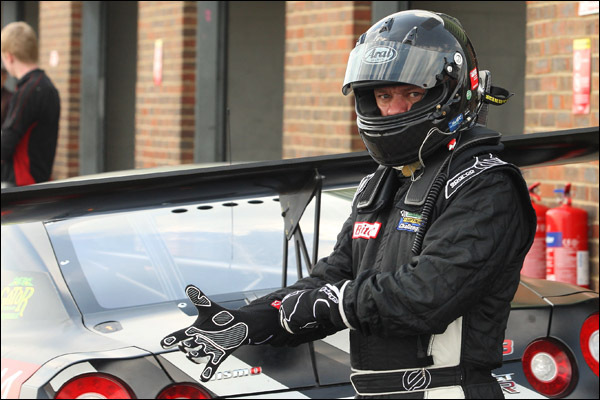 This season will mark Onslow-Cole’s full-time move into GT racing after a series of events in 2013, which he competed in alongside his seventh consecutive British Touring Car Championship season. White, who has raced in the FIA World Endurance Championship with Aston Martin, will also make his British GT Championship debut. Onslow-Cole explains: “The world of GT racing is something that is relatively new to me but it’s something that has really got me hooked. I’ve got a lot to learn this season, but we have put together a programme that will see us develop very well across the various endurance distances. The British GT Championship is going from strength-to-strength, with bumper grids, growing spectator figures and, from this season, free-to-view coverage on Motors TV. “Endurance racing is where my heart lies – the 12- and 24-hour races – but, the British GT Championship is really appealing right now,” comments White. “There is a high level of competition and some really exciting racing, so we are looking forward to being a part of it. “People have always told me that I’d do well in BGT and recent rule changes have made the series much more attractive this year,” he explained. “We will compliment our campaign with some bigger endurance races and we are always on the look out for exciting opportunities – Bathurst 12 Hours is definitely on my list. Although Onslow-Cole and White hope to make a full British GT Championship assault, the team is currently missing an entry to the first round at Oulton Park. They urge anyone who has an entry for sale to get in touch. The team will be at the British GT Championship media day at Donington Park on Tuesday 8 April. 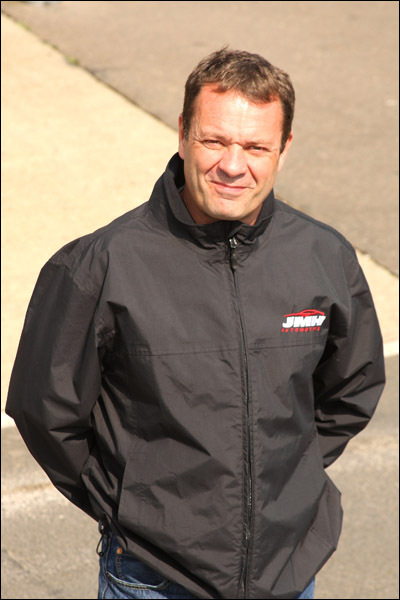 JMH has extensive experience in endurance racing. It won the GT Cup in 2011 and is familiar with the JRM factory-prepared Nissan GT-R NISMO GT3 after running a car for Jody Fannin in the first round of last year’s BGT series. JMH will be supported by a JRM factory engineer and technician at each BGT event. “We believe JMH is the ideal partner to deliver success in BGT and to build on the success of the Nissan GT-R NISMO GT3 that won the 2013 Blancpain Endurance Series ProAm Drivers and Teams titles with Nissan GT Academy Team RJN.